Because it is raining outside, an elementary school age girl is playing house, while half a dozen noisy boys play tag in the playroom. 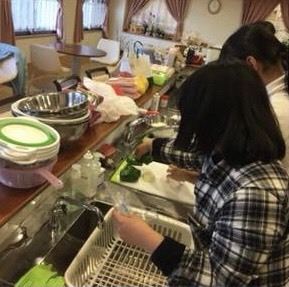 From the kitchen comes the smell of spicy curry that Dai-chan(Mr. Manabe, manager of Kodomo Shokudo) is preparing with the help of university student volunteers. “What’s for dinner?” one of the boys asks as he smells something delicious. 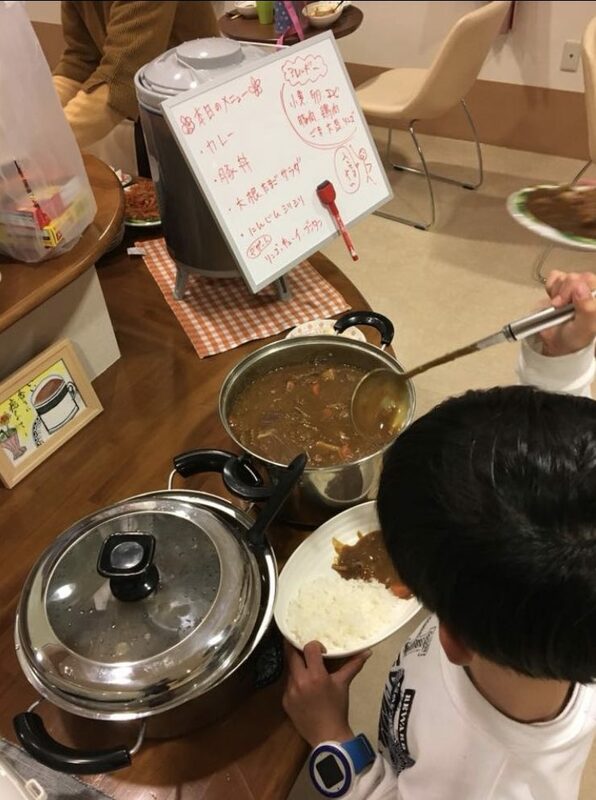 “Curry and rice” he answers while giving a sweet smile. 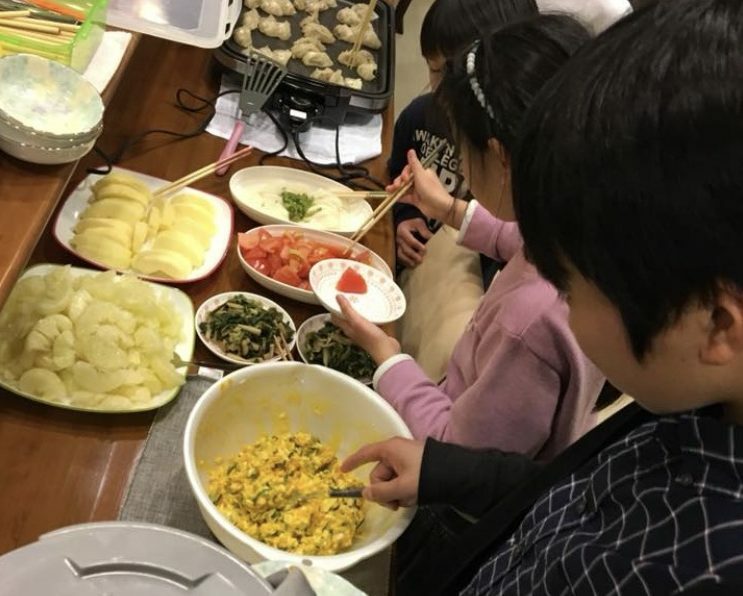 The 22 children, from the ages of 4 to 11 years old, gathered Wednesday afternoon at the Kodomo Shokudo, literally “children cafeteria,” in Koda city, Kochi. The Kodomo Shokudo aims to be a place where anyone can get together and have dinner for free. 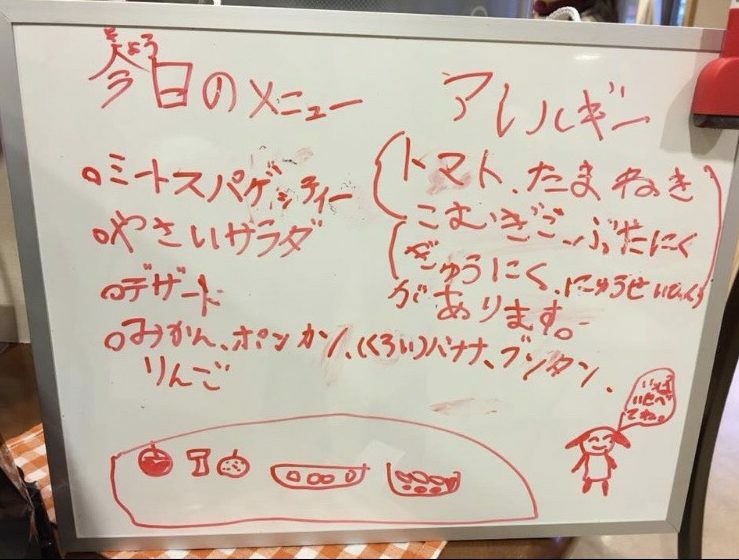 The concept of the Kodomo Shokudo is to be a place for the children to learn to be independent as well as for them to play with their friends and to eat dinner together. “Kodomo Shokudo is not a place that poor children go. Kodomo Shokudo is a place that anyone can communicate,” explained Mr. Manabe. Most of the children who come here go to Koda and Kamoda primary school which is located near it. After they finished school, the children would go back home and put their backpack off, then come to Kodomo Shokudo. “I had a swimming class at school today, it was a bit cold, but it was fun,” a boy told Mr. Manabe about what happened in school. In Kochi prefecture, there are about 50 Kodomo Shokudo, which is quite a large number compared to other prefectures. Since Kochi is a rural area, the Kodomo Shokudo receives a lot of support from local communities. Many people engage in farming in Kochi so farmers donate the vegetables that they are not able to sell. Thanks to this, the children at the Kodomo Shokudo can eat dinner for free. “Some of the ingredients are not normally found curry and rice. Did anyone find it?” asks Mr. Manabe to children at the dinner table. “I got an apple” a boy says out loud. “I got tofu,” another boy says. In the world, lots of people think that Japan is rich enough to buy food. However, one in six people in Japan are faced with poverty, but it is not the same as the Africa poverty problem. In Japan, poverty does not mean only about money, it is also about mental issues. “Some children eat dinner alone at night because of their parent are working. Therefore, the Kodomo Shokudo would be a place for these children to gather. Conversation at the dinner table is crucial for kids to describe their feeling.” Mr. Manabe says. In Kochi, 70％ of the single parents are barely making a living. They do not have enough time and money to prepare a proper meal for their children. These children could have several problems such as having not enough nutrition or money and also having to eat dinner alone, which could lead the children to loneliness. Even though there is about 50 Kodomo Shokudo in Kochi prefecture, they are only open once a month. According to Mr. Manabe, he feels that this is not enough as it made the Kodomo Shokudo to be like an event. He wishes that the Kodomo Shokudo that he manages could be a model for the other Kodomo Shokudo. At school, there are a lot of mental problems that made the children do not want to go to a school such as bullying and unreasonable punishment from the teachers. Next We Love the Dogs! What a nice story! I’ve heard about “Kodomo Shokudo” before, but I didn’t know there many “Kodomo Shokudo” in Kochi. 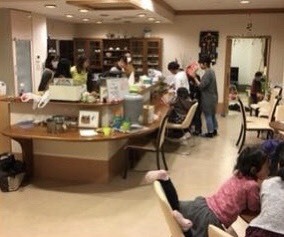 I think that it is not enough to open once a month too, but the existence of the place where children enjoy food is important. I believe that it is important no to let the children experience loneliness at such age. the Kodomo Shokudo is a good system that I wish I could introduce in my country. The formation of this article was easy to read. To fill the loneliness of the children’s feeling is an important thing since many parents are now both working. I didn’t know about Kodomo Shokudo. I think that for children eating someone is very important and can enjoy talking with many friends. That’s why I think Kodomo Shokudo is important community.